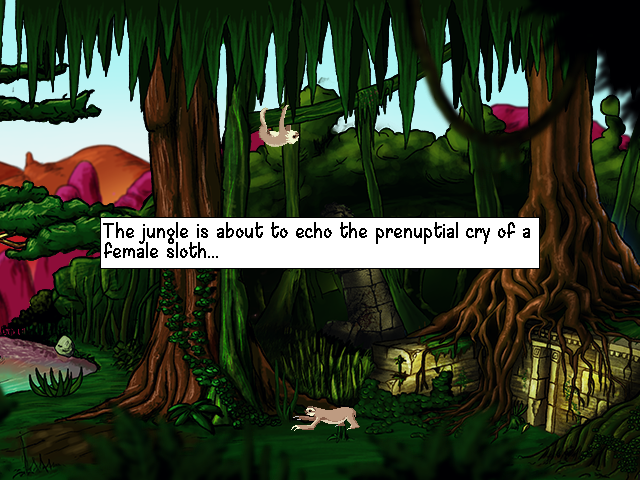 A game made for the March 2016 MAGS competition, where you play a female sloth living in the Amazon rain forest. Featuring wonderful background graphics by Selmiak, awesome coding and animation by Creamy, and a hushed voiceover and terrible singing by CaptainD. With apologies to Marvin Gaye, and to sloths everywhere. Update 10/7/16 - new version uploaded, extra animations / effects, German and French translations added. 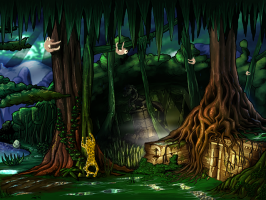 Beautiful graphics, great sounds, awesome story-line and fun. Very nicely done, the kids and I really enjoyed this one! New version updated with extra bells and whistles, plus translation into both French and German. Same download link etc. Great game. Very funny, original and hilarious, amazing artwork and smart puzzles. Recommended.